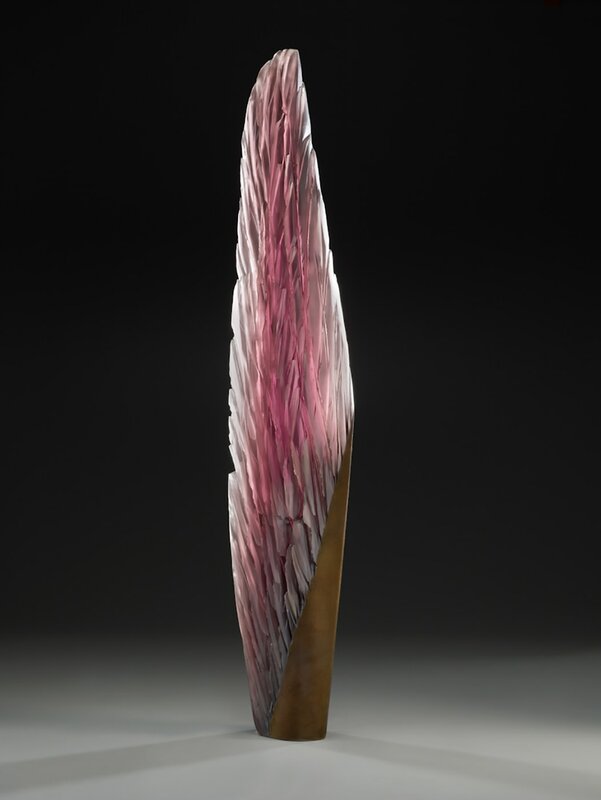 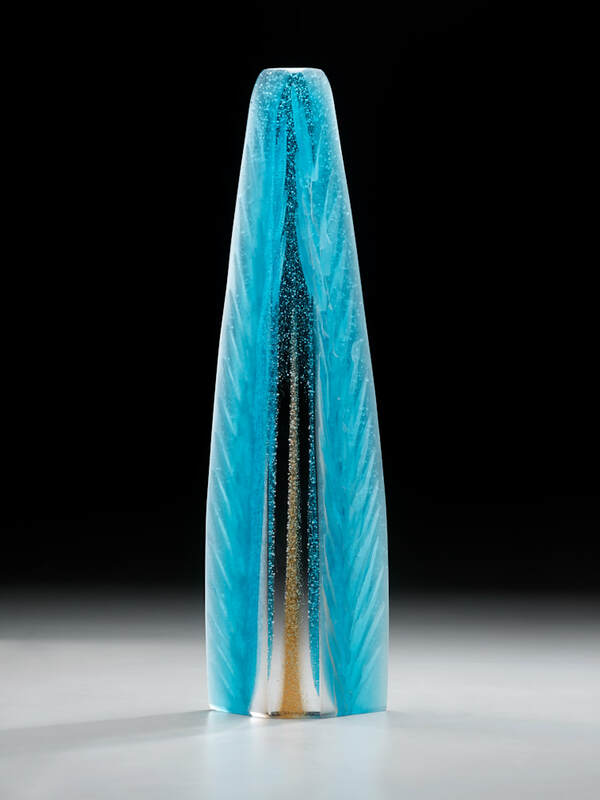 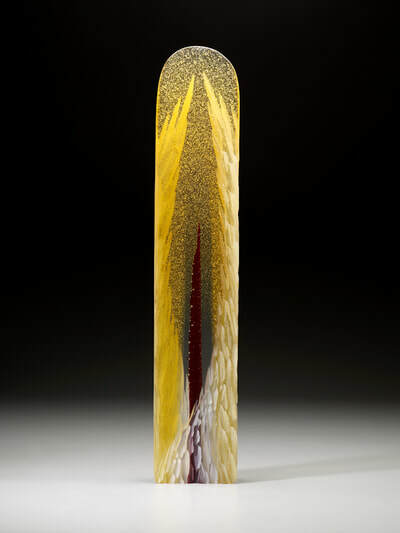 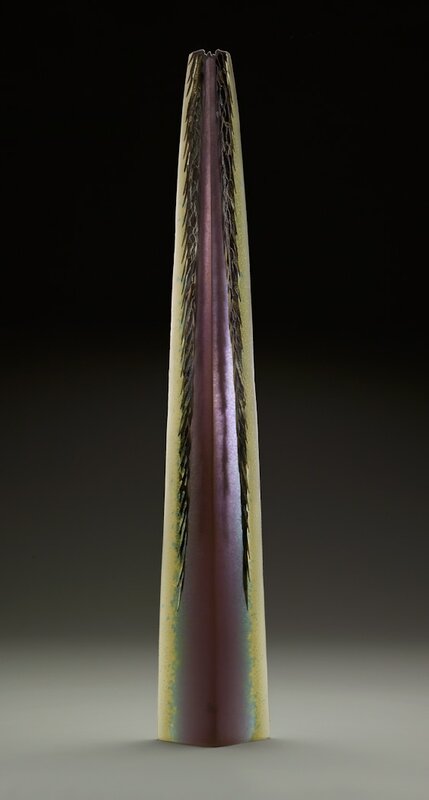 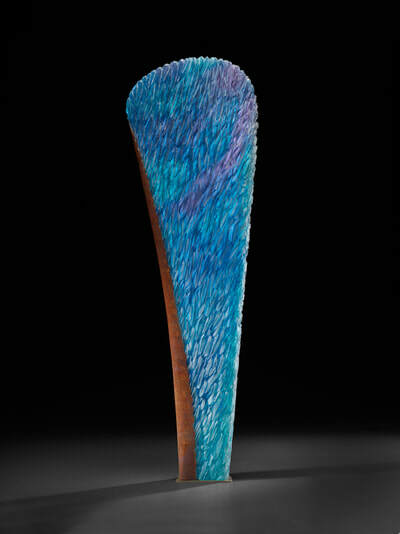 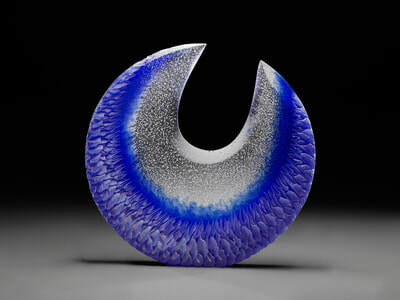 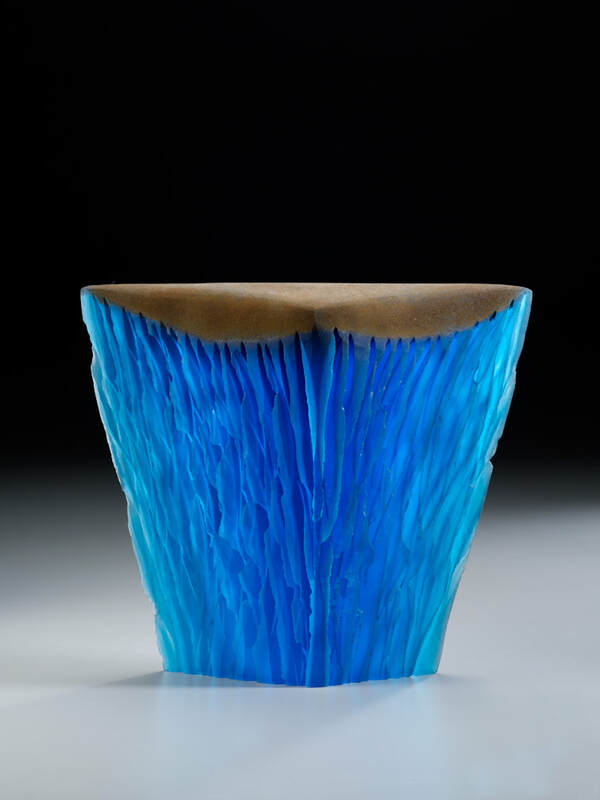 Bernstein skillfully combines metaphor with the power and sensuality of sculpted glass. His cast, carved and polished glass sculptures provide the viewer with intimate narrative landscapes, drawn from light, form and color. 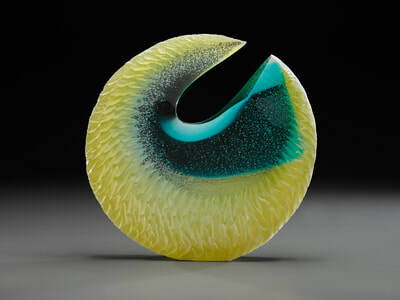 Alex explores ideas about the passage of time and the processes of creation and transformation. 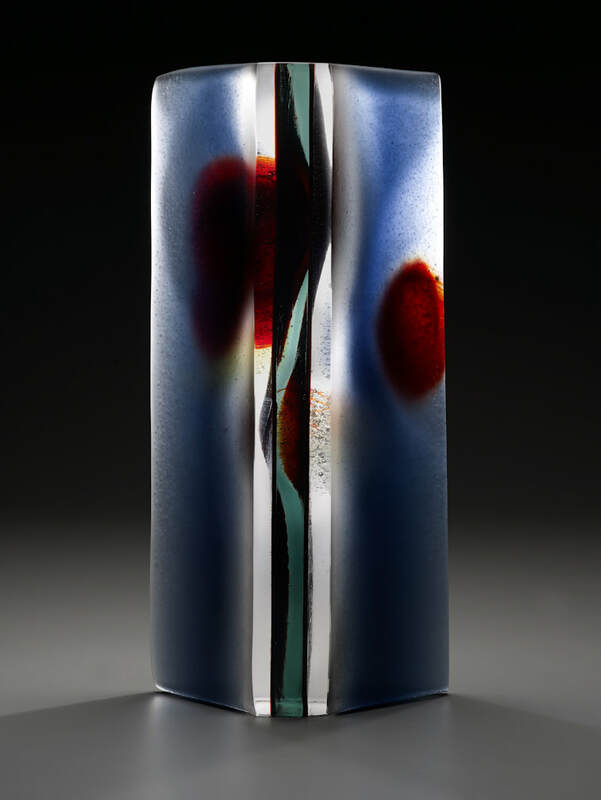 The forms of Bernstein’s pieces – as well as the techniques he uses to work the glass – mirror processes in nature, such as oxidation, erosion, growth and decay. 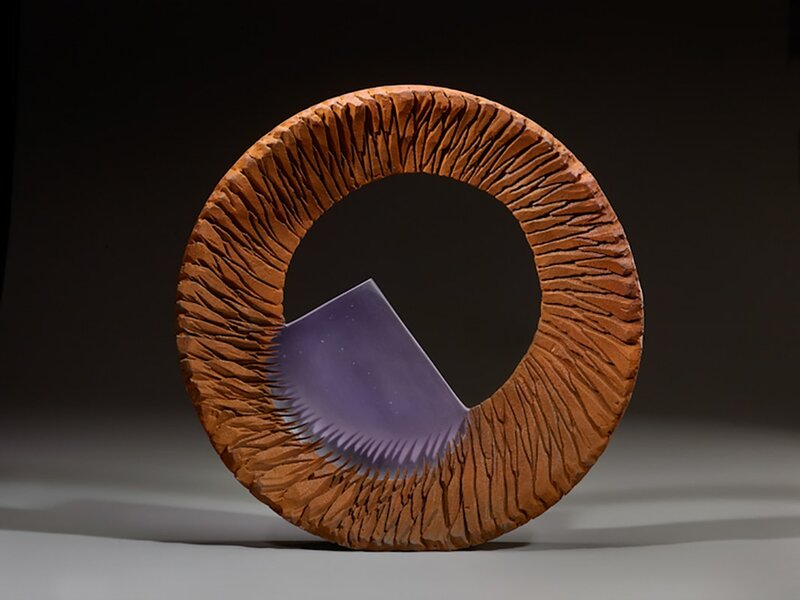 As a result, many of his pieces evoke images of flowing water, ice crystals, mountain peaks and jagged canyons – all structures that seem solid and unyielding, but are actually in constant flux. The work reflects his sense of exploration: an exquisitely cut geometric crystal sculpture set against a brutal, rusted steel backdrop, volcanic bursts of cut glass spewing from a steel-encrusted base, layers of transparent color intermingling with ambient light. 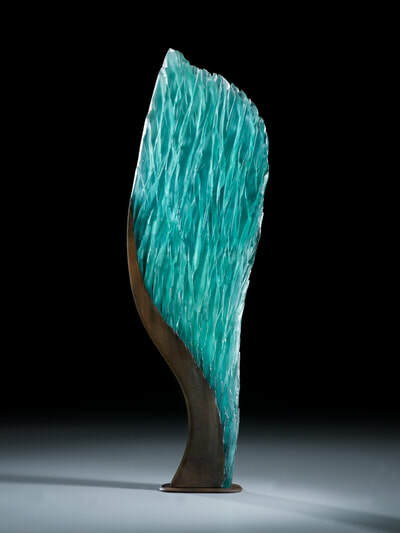 Alex’s sculptures reflect his feelings and sensitivity to others, curiosity and enthusiasm for bringing new dimensions to his sculpture. ​Others will seek to employ Alex’s techniques, but none will achieve the depth of expressionism, his ability to depict the emotions and responses that objects and events arouse in him. 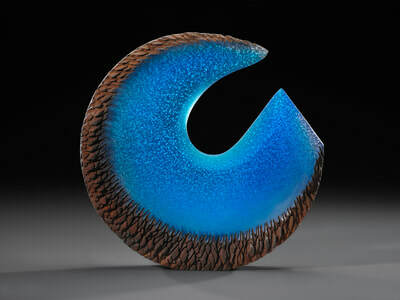 This is the underlying strength of his work in glass.